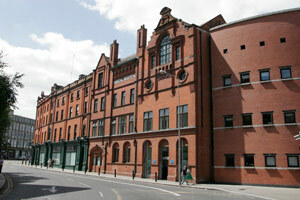 The Dublin Dental University Hospital has been in Lincoln Place, Dublin 2 since 1899. Over the last 116 years the hospital has evolved to meet the needs of its patients and students by developing new facilities, introducing new services and building new relationships to provide the best possible dental service to the people of Ireland. The Dublin Dental University Hospital is the major dental teaching hospital in Ireland, undertaking the training of postgraduate and undergraduate dental students, student dental nurses, dental technicians and dental hygienists. Prior to 1980 little, if any, original research was carried out at the Hospital. The Hospital has developed research capacity in recent years. Dublin Dental University Hospital participates in interdisciplinary research projects and industrial collaborations with real potential for health gain. Research activities are coordinated and inline with our mission objectives. In all, a dental team of around 250 staff work in the hospital. 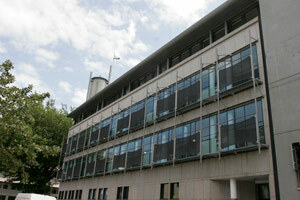 The Dublin Dental University Hospital is governed by the Dublin Dental Hospital Board. This is a Statutory Body appointed by the Minister for Health. The Hospital is funded by the Department of Education and Skills (50%) as well as the Department of Health (25%) and the remaining 25% of income is self generated. The Dublin Dental University Hospital provides secondary and tertiary services in the areas of Oral and Maxillofacial Surgery, Oral Medicine, Oral Pathology, Oral Radiology, Oral Mycology, Orthodontics, Paediatric Dentistry, Special Care Dentistry, Endodontics, Restorative Dentistry, Implantology, Endodontics, Periodontology, Prosthodontics, Sleep Apnoea, Maxillofacial Prosthodontics Restorative Oncology, Special Needs Restorative Dentistry and dental care to Medically Compromised patients. Joint consultant clinics are held in the areas of Orthognathics (joint orthodontic and maxillofacial surgery) and Dysplasia (joint oral medicine and oral maxillofacial surgery). The inter-disciplinary team and inter-hospital collaborative approach to patient care continues to grow in line with our strategy. In particular developments in the areas of special needs restorative, special care, medically compromised, conscious sedation, prosthetic rehabilitation and dental care for head and neck oncology patients have been prioritised. The Dublin Dental University Hospital is committed to managing emergency and out of hours care for patients in the Dublin Community. This is a demand led service where in excess of 15,000 A&E activities occur on an annual basis. The Hospital rolled out the full implementation of Salud, the clinical management system, to most clinical areas at the beginning of 2010. Implementation has been successful and we continue to work with the supplier to improve the quality of the project. The roll out has allowed for the capture of all clinical activity.